The History of Boston Marathon Qualifying Times – When Was It Hardest to Qualify? With the changes in the Boston Marathon qualification times, here is a look at the history of the Boston Marathon qualifying times. Is it really harder to qualify now than ever? This is Boston Marathon week! Well, for those of us in the running community it is! And, it also marks the final Boston Marathon for those that qualified under the “old” standards. 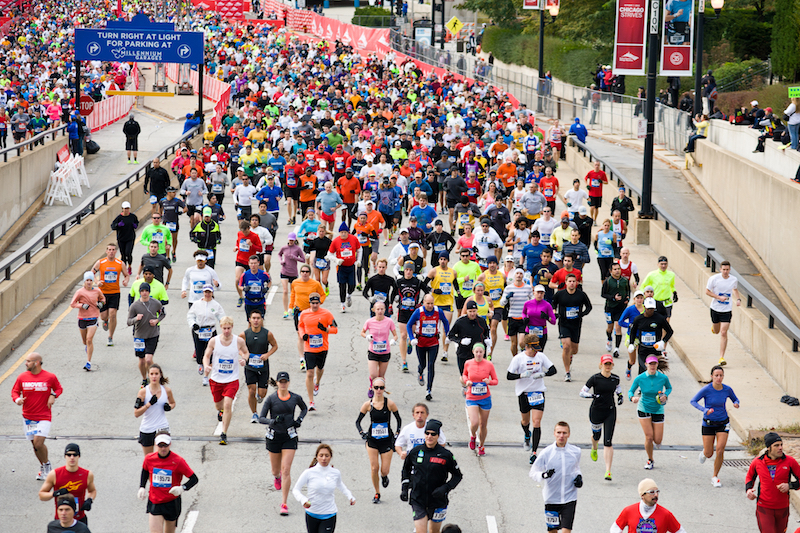 Starting this year, the Boston Marathon qualifying times will be harder to hit. So, let’s take a look at the history of Boston Marathon qualifying times and see if they are really going to be the hardest yet (spoiler, they aren’t!). Are The New Boston Marathon Qualifying Times Faster Than the Previous Times? First let me say this – even though the Boston Marathon qualifying times for 2020 and on are faster than what was required for the 2019 Boston Marathon, it actually does not play like that in real life. The reason for that is because everyone that was accepted for the 2019 Boston Marathon actually had to clear the old qualifying times by 4 minutes and 52 seconds in order to get in. With the new standards being 5 minutes faster than the previous BQ requirements, it will just make official what runners ended up having to wait to find out anyway. As I have said before, I understand the need to make the standards more difficult (and am one of those that will not qualify for quite a while under the new standards!) but my biggest problem with these new times is for those runners 80 and older. I stand in awe of runners that are over 80 years of age that are still able to run 26.2 miles. That is incredible! Personally, I think that just crossing a finish line at that age should qualify them for the Boston Marathon – or at least finishing a marathon under the cut-off time (which is normally around 6 hours). For these runners, they may not have that many more years to qualify given their age factor (health issues, body issues, etc). I am not sure how many runners in those age groups actually apply but I cannot imagine it would be that large a number to make a difference to the overall participant list. Regardless, there are a whole bunch of you that have qualified and will be at the starting line in Hopkinton on Monday morning! Congrats to all of you and have a fantastic race! What is Chase Going to Do About These Two United Credit Card Perks? Wow I didn’t realize qualifying times were sub-3 back in the late 70s. I think it is an achievement for those who qualify for Boston and wish the marathon organizers can accommodate everyone who qualify. In my running club, I’ve noticed the same people tend to qualify each year and I know this will never happen but if they can at least let first time qualifiers to register first that would be great!